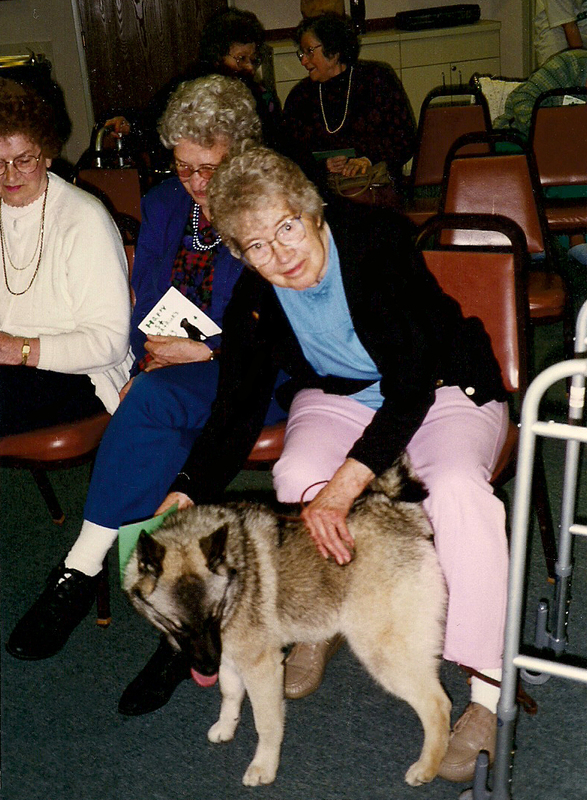 Elkhounds may seem like the ideal pet, but there are disadvantages to every breed, so please READ THIS ARTICLE to learn more about the Norwegian Elkhound. Weather YOU purchase or rescue a pet YOU are not getting a throwaway commodity; YOU are making a lifelong commitment so be absolutely sure YOU know what you are doing. If you have decided to purchase or rescue an Elkhound THIS ARTICLE will guide you toward making your purchase!! 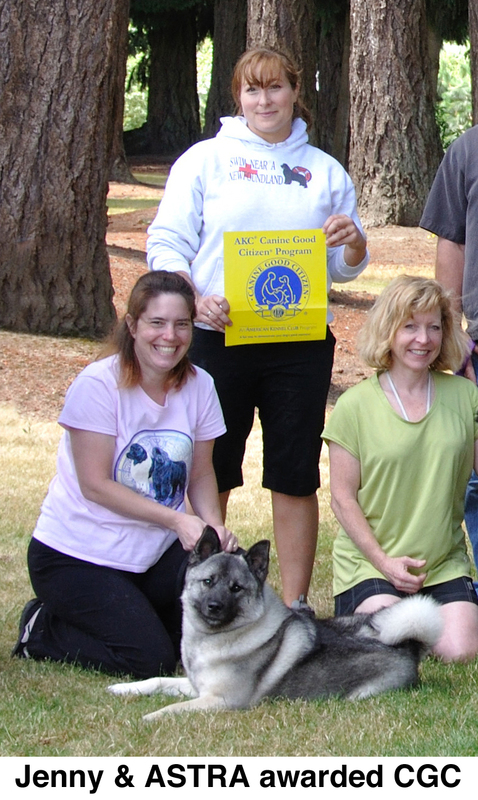 We do more than just show our Elkhounds, below are other activities we participate in. The American Kennel Club’s Canine Good Citizen test (CGC) is a certification program that evaluates dogs in simulated everyday situations in a relaxed, noncompetitive atmosphere. Any dog is eligible to take the CGC test. An obedience trial is a dog sport in which a dog must perfectly execute a predefined set of tasks when directed to do so by his handler. Flyball is a race that matches two teams of four dogs each, racing side-by-side over a 51 foot long course that has 4 jumps and a flyball box at the end. Any dog is eligible to participate in flyball. AKC Rally is a successful stepping stone from the AKC Canine Good Citizen® (CGC) program to the world of obedience or agility. Rally offers both the dogs and handlers an experience that is fun and energizing. 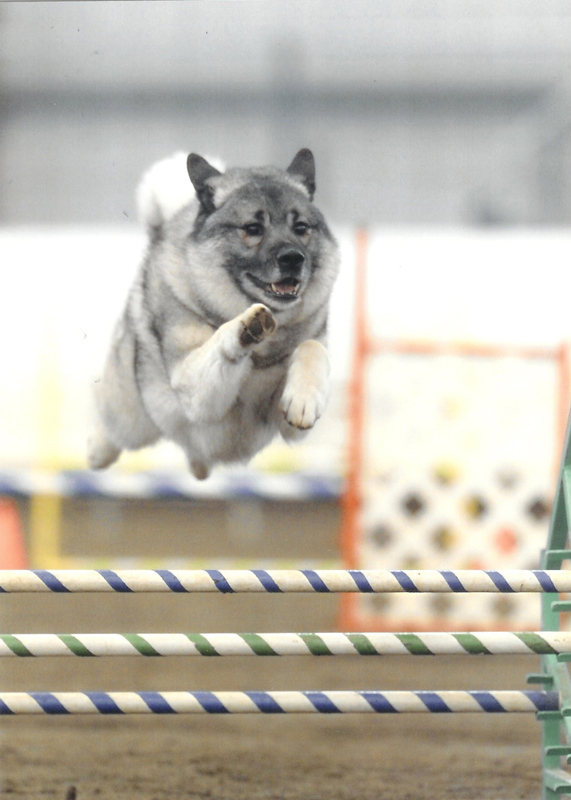 Agility is a sport that is designed to demonstrate a dog's willingness to work with its handler off leash through an obstacle course in a race for both time and accuracy. 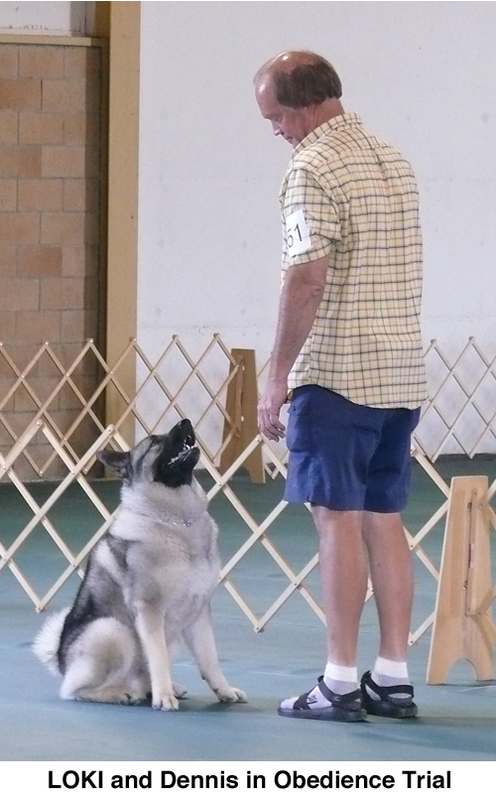 LOKI owned by PSNEA member Dennis Bell is the first dog in the Pacific NW to earn a Master title in Barn Hunt. 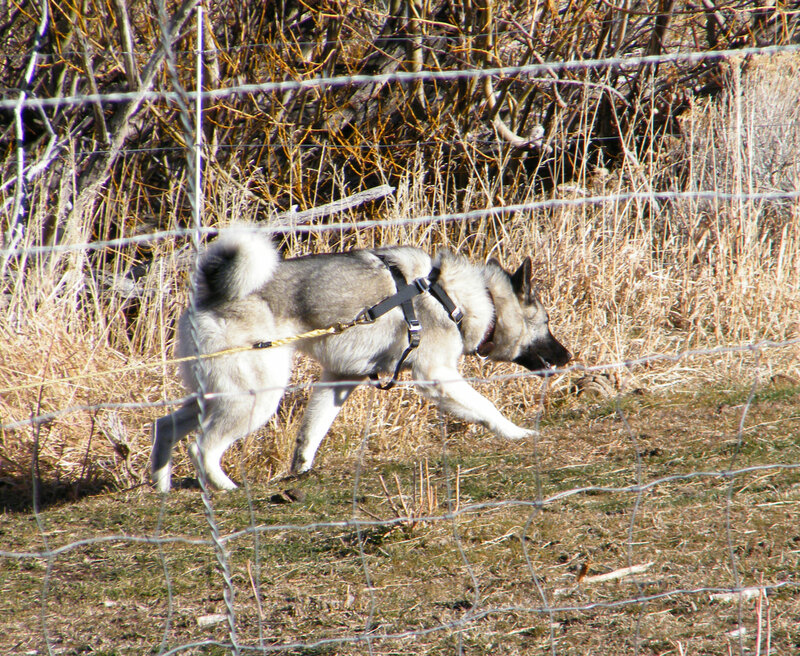 Congratulations to Gaylean Lyne’s progeny “HAKON”; the youngest Norwegian Elkhound in documented history to earn the AKC Tracking Dog Title!! Congratulations again to HAKON for earning his TDX title! !